Sulphur Creek Outfitters (SCO) shuttles to and from the Little Red River from Lindsey’s Resort to Hwy 305 Bridge. Shuttles to other area creeks and streams are available when paddling conditions are good. Shuttle rates are based on mileage. Call for rates: 501.691.0138. Our shuttle equipment can handle up to 13 passengers and ten boats (of which some can be tandems or canoes). 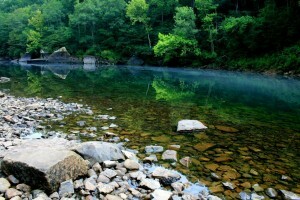 The Little Red River water comes from the bottom of Greers Ferry Lake and is very cold, even in the summer. WEAR YOUR LIFE JACKET. Also be familiar with Arkansas boating laws. The Little Red River paddling conditions can change based on dam releases. We usually have a good idea of generation schedules however it involves some guesswork. Water conditions usually do not exceed class 2 but can reach class 3. Low water after a couple of days with no release may require fording at the shoals. Our shuttle rates are based on take out zones (regardless of where the put in point is). We can shuttle your personal vehicle. Your vehicle will be moved to your scheduled take out point and be there when you arrive. Your personal vehicle insurance applies in this case. There is a $10 up-charge (in addition to shuttle rates). There is a $10 up-charge (in addition to shuttle rates) if watercraft are not rented from us (does not apply to approved guides). Approved river guides and clients receive a 10% discount on shuttle and rentals. 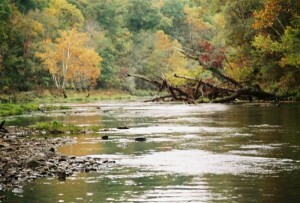 If fishing the Little Red River from the dam to Bald Knob, a trout stamp (in addition to a fishing license) is required. Obtain an AGFC pamphlet for other size and limit guidelines. Payments can be made at the store or by credit card with our mobile payment system. *Call us at 501.691.0138 for the latest water conditions, fishing reports, boat and shuttle availability, lodging, restaurants or other area information.